Most of us are familiar with the concept of “studbooks” and “registries” and probably have registered other animals such as dogs with the American Kennel Club (AKC), cats with The International Cat Association (TICA),and, of course, horses with the IALHA or other breed registries. Since animals were first domesticated, differences between individuals of the same species were noted and often used selectively to improve stock, e.g. for improved milk or egg yields, racing ability or hunting prowess. Records of individuals were kept verbally at first but as numbers grew, individuals started writing down the linage of their own animals and of those animals that may have interested them. Ultimately someone would emerge who had the interest to gather that information into one central source. For example, the first official horse studbook was the “General Studbook for Thoroughbred Horses” set up in England in 1791. Private studbooks had existed from the early 17th century, but they were not invariably reliable. In 1791 Weatherby published An Introduction to a General Stud Book, the pedigrees being based on earlier Racing Calendars and sales papers. After a few years of revision, it was updated annually. All Thoroughbreds are said to descend from three “Oriental” stallions (the Darley Arabian, the Godolphin Barb, and the Byerly Turk, all brought to Great Britain, 1690–1730) and from 43 “royal” mares (those imported by Charles II). The preeminence of English racing and hence of the General Stud Book from 1791 provided a standard for judging a horse’s breeding (and thereby, at least to some degree, its racing qualities). The American Stud Book dates from 1897 and includes foals from Canada, Puerto Rico, and parts of Mexico, as well as from the United States. The development of studbooks for dog breeds followed the same pattern as many early dog fanciers were also horsemen. In the US, the National American Kennel Club published the first pedigree dog studbook in 1879 and the American Kennel Club (AKC) took over in 1887 and continues to maintain the studbook although they quit actually publishing the studbook in 2005 and it is only accessible for a fee on line. The first studbook for a wild animal in captivity was for the European bison. Heinz Heck published this studbook in 1932, when it was realized that this species was destined to become extinct unless captive populations were managed by some co-operative means. From these origins, the studbook has come to be recognized as the essential tool in the coordinated and scientific management of an endangered or vulnerable species of wild animals. In the early 1970 a group of zoo directors and scientists began to develop a computerized “studbook” for all species of animals kept in zoos worldwide. It was named the International Species Information System. Over the years it was greatly enhanced and today is an essential tool used by over 1000 professional zoos around the world. Going back to horse registries, we find that over time individuals, often with the aid of their governments, established breeds and studbooks for those breeds that were important to the people of that region. Certainly that was true of the horses on the Iberian Peninsula. For decades breeders throughout Spain and Portugal sought to develop what became known as the Peninsular horse. By the end of the 19TH century both Spain and Portugal had started to focus on their separate bloodlines and studbooks. In Spain the original “official register” for pure Spanish horses – PRE (Pura Raza Espanol) – was created in 1912 as the formal responsibility of the Ministry of Defense and was part of the Cria Caballar. In 1889 Portugal created a “studbook” for horse breeds within the country and established the first official Lusitano Studbook in 1942. A number of Spanish PRE horses were brought into the Portuguese Studbook during this time. 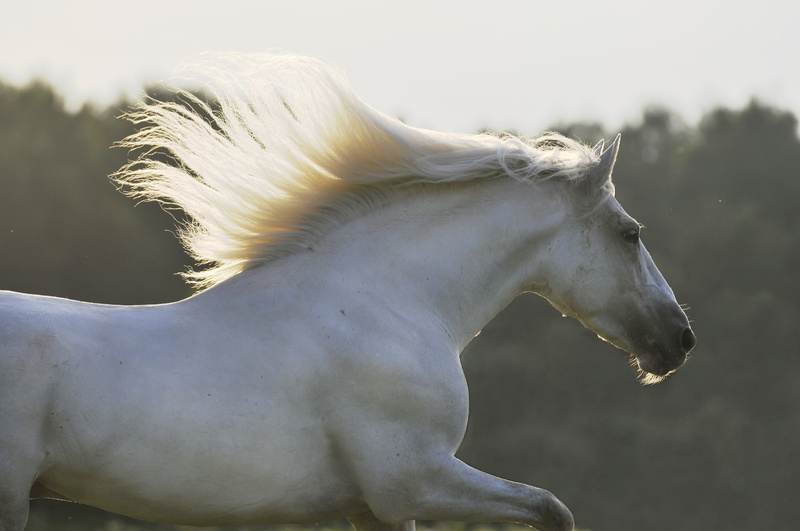 In 1966, the Studbooks of Spain and Portugal formalized their language and breed definitions to make it clear that horses born in Portugal were called Lusitano, and horses born in Spain were called PRE. This strengthened the barriers between the studbooks and allowed the Lusitano to develop into a separate and distinct breed type. In 1967 management of the Lusitano studbook went to the Portuguese Association of Purebred Lusitano Horse Breeders (APSL) which still manages that studbook, while the Spanish Ministry of Defense continued to manage the PRE Studbook. In 2007 the government of Spain turned over the management of the PRE Studbook to the National PRE Breeder’s Association of Spain (ANCCE). 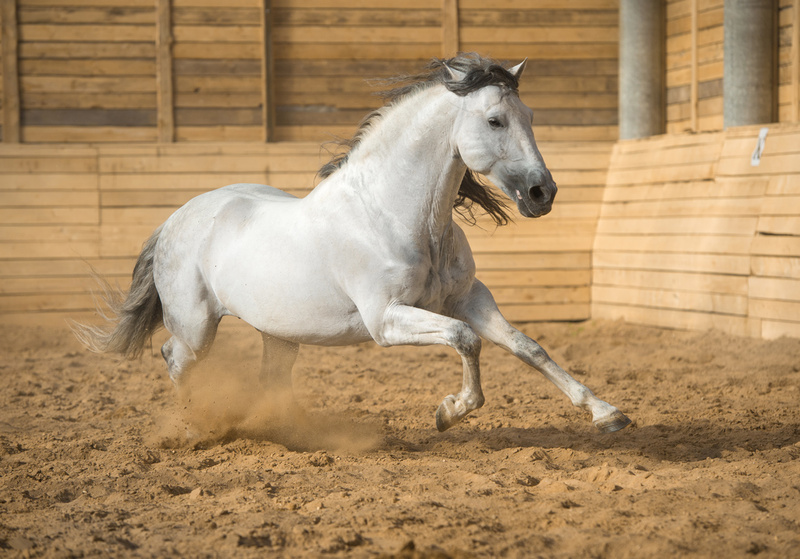 The beautiful word “Andalusian” has always been used in Spain to refer to the classic Iberian type horse from the South of Spain (Andalucia). It is an ancient regional term that was in popular use in the early 1960s to describe a broad group of horses that included the horses bred along the Spanish/Portugues border. 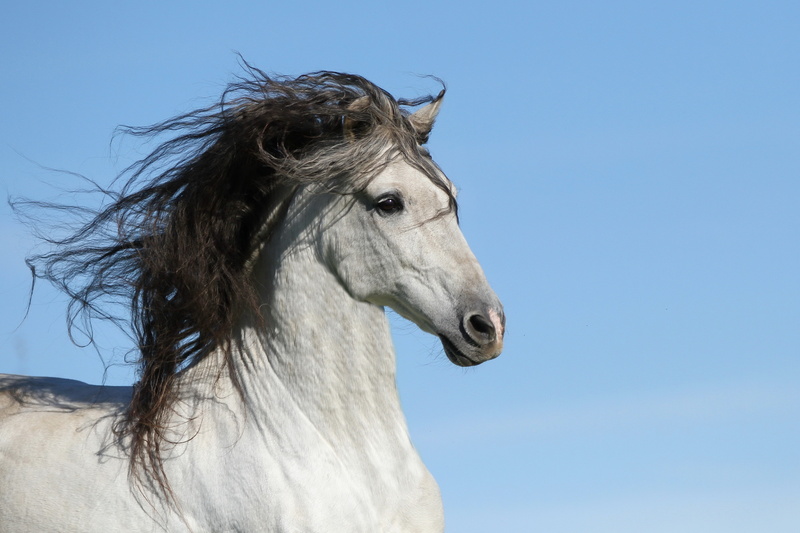 Many of the early US imports from Spain were called Andalusians so that name was used in the founding of the first US studbooks. 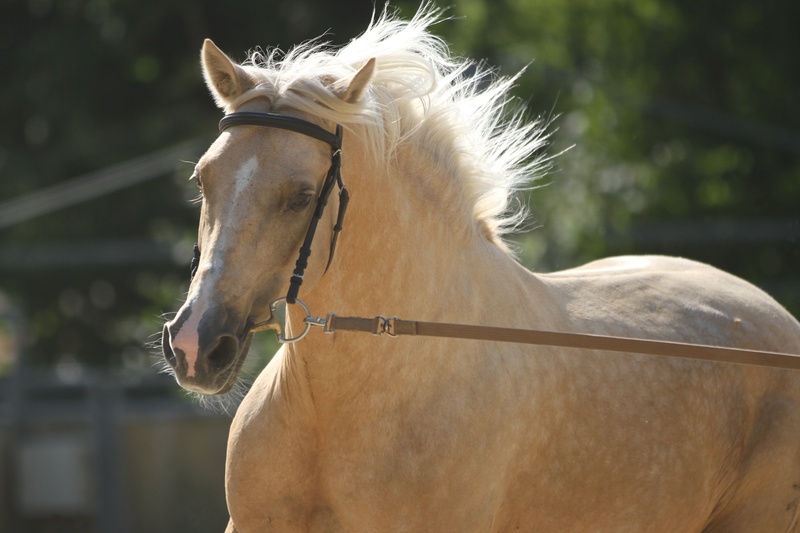 A history of the Andalusian horse in the US and our organization, registry and studbook was put together in 2006 following numerous requests for such an article. The article outlined in great detail the individuals and activities involved in the development of the organization that ultimately became the IALHA. I am indebted to Nadine Tilley for sharing it with me. The information in the following two paragraphs are based on that document. 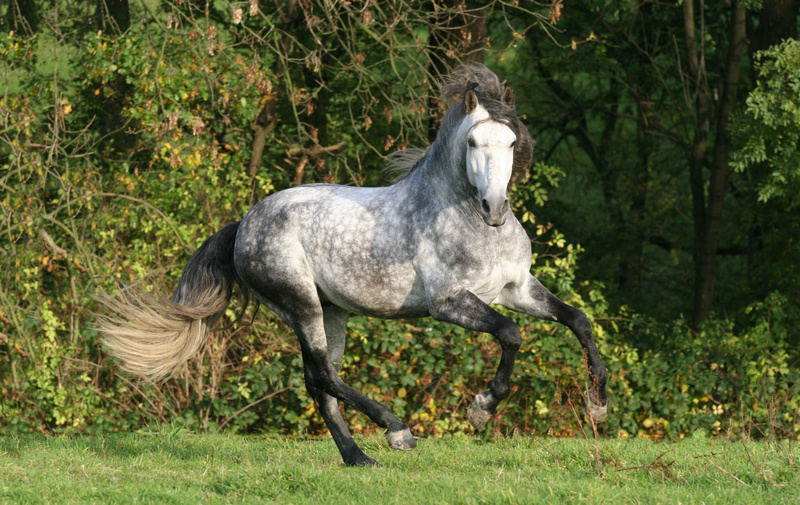 The first record of an Andalusian imported into the US was in 1964 and the American Andalusian Horse Association (AAHA) was formed about the same time. In 1996 that organization was incorporated in New Mexico as a private Registry. Horses were entered into the first US registry based on verification from a set of studbooks brought from Spain. In 1977 a group of likeminded breeders met to discuss and develop a new organization which they named the International Andalusian Horse Association (IAHA). By 1979 they had filed for tax-exempt status and started to maintain a new Registry owned by the membership. In 1980 the first IAHA Studbook was printed and distributed. In the meantime, the AAHA was continuing to maintain its own private studbook. During the early 1990’s there were several efforts to merge the two organizations and the studbooks. During that time the American Andalusian Horse Association(AAHA) changed its name to the American Andalusian & Lusitano Association. Finally in 1995 both organizations approved the merger and the new organization became the International Andalusian & Lusitano Horse Association – the IALHA as we know it today. During those early years our registry rules were being written and expanded to ensure that the horses we accept for registration can be traced in an unbroken line to the studbooks of Spain and/or Portugal. 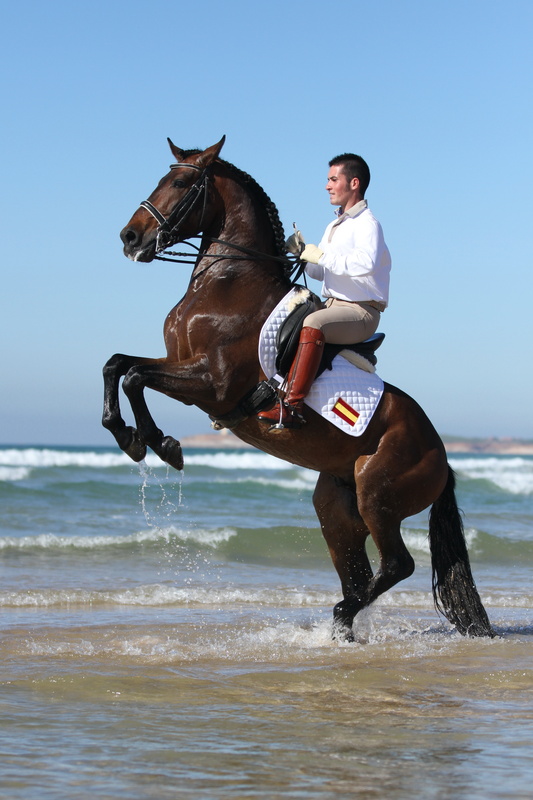 In 1993 we added a studbook and registry for Half-Andalusians with the requirement that one parent must be a purebred. At the same time rules were developed to protect the owners and breeders of our horses. Requirements for microchips or individual freeze brands and blood typing were added in 1992 & 1993 and full DNA parent verification in was required by 2000. These rules help to ensure the identity of the horse and its accurate pedigree. We often use the words “Studbook” and “Registry” interchangeably. However, the IALHA manages both a Studbook (a record of the verified pedigree of each horse accepted into the Studbook ensuring that it meets our criteria) and a Registry which connects the individual horses in our studbook to their breeders and current owners through a verifiable process of documentation. The first function, the Studbook, is to assure the identity of the horse and its registry status. IALHA does this through parent verification, pedigree research, micro-chipping, and recording markings. The second major function of the Registry is to protect the breeders and owners of our horses by assuring that all of the appropriate signatures are in place when transferring a horse from one owner to the next. Every professional registry requires a chain of ownership signed off for each individual owner as the horse and its papers transfer from one person from the next. The IALHA Registry Board is frequently faced with individuals who have purchased horses only to discover that the chain of ownership signatures are not in order. It is your responsibility as the seller of a registered horse to be certain that the papers you provide the purchaser are completely and correctly filled out. And, as the buyer of a registered horse, it is your responsibility to be certain that the registered owner of the horse on the IALHA papers is the individuals from whom you are buying the horse. If they are not, it is your responsibility as buyer to get the seller of the horse to provide Bills of Sale from whoever are the registered owners of the horse on the IALHA registration certificate. Robin McCabe, our Registry Secretary and our registry office can attempt to help you by looking for prior owners but the responsibility is 100% on you, the purchaser of the horse, to be certain that the horse has current papers and that the person you are purchasing the horse from are the owners as indicated on the papers and that there are the necessary signatures on the Bill of Sale and on the back of the IALHA certificate. 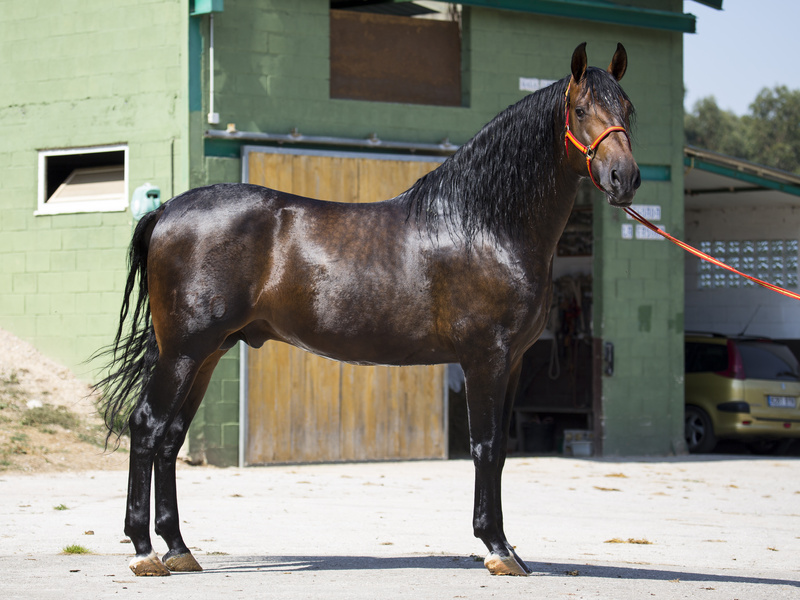 Our Registry accepts for entry into our studbook Andalusians and Lusitanos that have foreign registration documents from either APSL or ANCCE and also from a select few other registries who meet our strict documentation requirements including parent verification, microchipping and clear ownership documents. When purchasing a horse with foreign registration documents, you may want to check with us to see if we accept those documents. You must submit a copy of the original registration documents from the foreign registry. If you are not the current owner of the horse as listed on the foreign registration papers, the IALHA Registry office will also need a Bill of Sale, issued to you, from the current owner of record on the foreign papers. The third major function is to protect the breeders and owners of our horses by assuring that all of the appropriate paperwork/signatures are in place when registering a foal or an adult un-papered domestic bred or foreign bred horse that has not yet been registered with the IALHA. Periodically we see horses which are sold as “being able to be registered” but for whom there is no paperwork from the owner of the stallion as it appears on the stallion’s registration papers or the owner of the mare documenting that the horse was actually bred under the auspicious of the two registered owners. This usually happens when a horse that does have IALHA papers is given away or sold for a reduced price without papers – without the original owner of the horse signing over the papers to the new owners for the horse to be registered. Or the horse is sold but the new owner never fully pays for the horse and, therefore, never receives the signed Registration Certificate. These horses might then produce foals which are presented to the purchasers as “registerable”. However, they are not unless the last registered owners of both the sire and the dam complete and sign all of the appropriate paperwork. Again, the registry board and office will attempt to help locate these individuals. However, it is the responsibility of the breeder or the purchaser of a horse that is presented as “being able to be registered” with the IALHA to have all of the appropriate guarantees and signatures in place.